Five-year-old Charlie Proctor passed away this week after a long and hard battle against cancer. Right before his untimely death, he apologized to his parents. Charlie died in the arms of his mom and dad. "The world has lost an incredible little boy," his mom wrote on Facebook. Two years ago doctors discovered Charlie had a tumor. He got a liver transplant, but he never truly recovered. 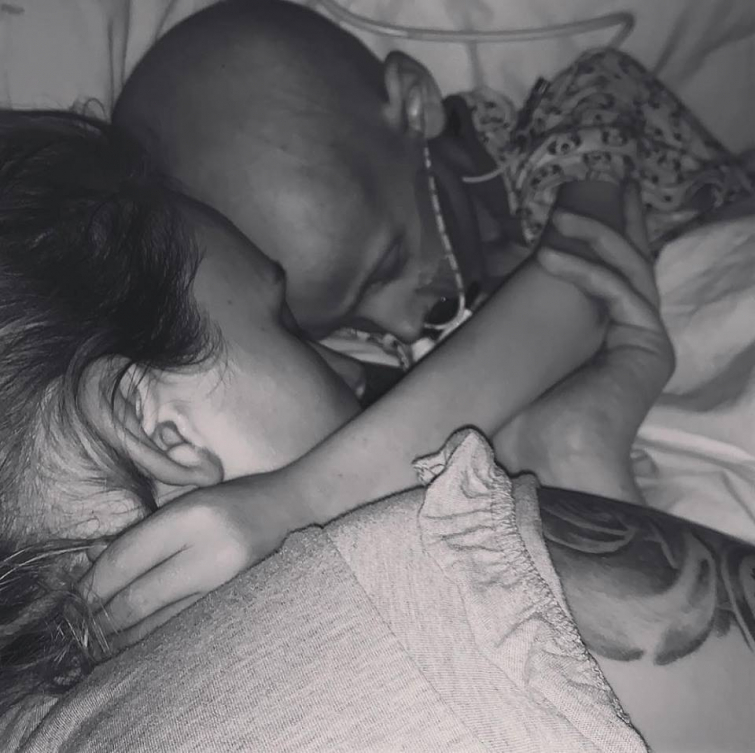 Last September his parents got the news their son only had a few weeks left to live. "I will forever miss you baby bum, Sweet dreams my baby"
The parents hoped and prayed their baby boy would somehow recover. "Miracles do happen," they said. "And we're praying Charlie gets his!" Sadly, Charlie passed away shortly after. "You showed me what love really means Charlie," his grieving mom wrote. "Now it’s time to fly, I am so, so proud of you. You fought this so hard. My baby, I’m hurting so much. I will forever miss you baby bum. Sweet dreams my baby." A few days before his death Charlie's mom wrote a heart-wrenching letter in which she told her son had apologized for his illness. The once so cheeky and happy Charlie was now tired, fed up and depressed. "Charlie, at one point, turned to me and said in the most quiet, panting voice, ”Mummy, I’m so sorry for this,” his mom wrote. "f Charlie’s fate is to go, then I’d of rather the angels took him weeks ago before he suffered any more"
"He was sorry because he wanted to move again and he felt he had to apologize for that? So now I know he also feels like he’s somewhat “in the way.” My heart broke! No child should feel the emotions Charlie is feeling. No Child! No parent should watch their child slowly go. Having to watch them deteriorate in this way is the most painful thing anyone will ever feel. If Charlie’s fate is to go, then I’d of rather the angels took him weeks ago before he suffered any more." Our thoughts and prayers are with the family of Charlie.